Halloween decoration fun, prefect for theme party, trick or treat celebration, and spooky haunted house ambient. Made of high quality materials for durability that prolong usage. 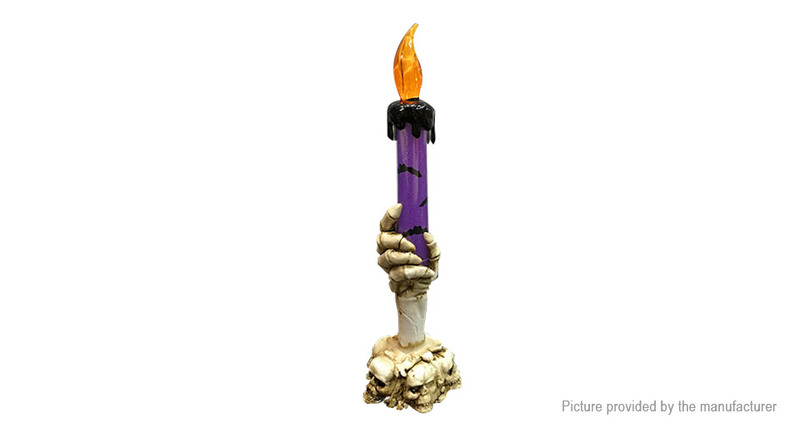 Highly detail crafted skeleton hand holding a candle with led light, can also be used as costume prop. Flame candle light is free of fire risk, a smokeless, safe and eco-friendly alternative to traditional burning candle.